Concept & presentation figure 3d Examine the facts in all their combinations. 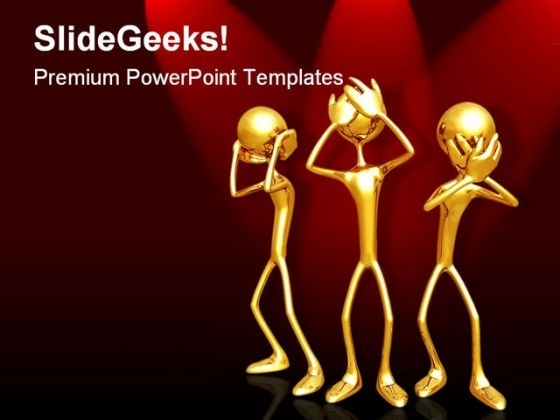 Run the comb through with our Hear See Speak No People PowerPoint Template 1110. Be as fastidious as you want to be. Our Hear See Speak No People PowerPoint Template 1110 will be more than a match.